Perhaps having everything neat, tidy and under control is your thing, or maybe you have excellent cleaning service at home. Having a clean house has never been so easy! However, there will be those particular places or items in a home that will need more attention in order to have them as clean as you want them to be. If you are one of those people that keeps your home tidy, clean and shining, you are my hero. Or perhaps you are as practical as me and hire a cleaning service that saves you every time; you find out that there are some places in a home that will need extra care throughout the year in order to have them as clean as you want them to be. Consequently, I found out that these places are some of the most common places in a home, that no matter what I do to keep the house clean, they always need extra care. 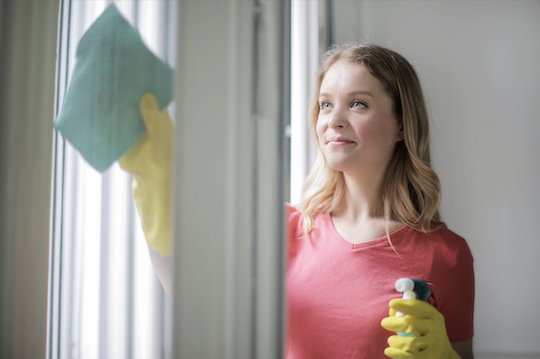 Whatever you choose, either hiring someone to clean them up or DIY, here are five types of cleaning services you can do at home. If you are a carpet lover or a rug fan, you will be able to relate to this section. The weekly maintenance of these elements is imperative and with a routine and good care, that may do the job. However, in the long run, it becomes insufficient. This one, in particular, is one of the cleaning services that if you do a deep clean yourself, it will take a whole lot of your time, money and strength to get it right. And perhaps it wouldn’t end up as clean as you wanted it to be. That would be a total bummer. However, considering a professional cleaning service can give you the results you are looking for, saving you from an extreme workout and from wasting your free time. Get the results you want and need for your carpet, rugs and any other cloth element that makes your home feel like home. One of the most fun and most comfortable things to clean at home, to me, are the windows and mirrors. Perhaps it isn’t an issue to clean them every now and then, but what about if your home has more than one story or you have double height windows? Or what if you have interior spaces made of glass ceilings? If you are a pro at this type of job, please teach me your ways! If not, this type of cleaning will take you a whole day of work and resources. This task isn’t something you need to do every day; I find it easier to hire a local window cleaning service to do the job for me, especially if safety is required, on cleaning second level windows, glass ceilings or double height windows. The transparency of the glass elements of your house brings elegance to your home, let alone the way it can light up your living spaces. Don’t hesitate to keep them as clean as you want them to be. Everybody loves a day at the pool! Just the fact of coming home after a long day of work or even just wanting to chill, tipping your toes in the water during the weekend is one of the most relaxing things to do at home. However, if the pool hasn’t gotten the right care, you will spend most of your weekend trying to clean it up. If you are familiar with this process, it means that you have all the tools and chemicals you need to get your pool as clean as it needs to be. Nevertheless, life, work, family and more get in the way of maintaining the pool in the most excellent condition to use. The pool cleaning service is one of the services you need to do at home that doesn’t require daily maintenance. Still, if you want to save the time and money spent on all the things you need, you can always hire the most convenient cleaning pool service. It’s essential to clean out your fireplace regularly. Why? Eventually, toxic substances will end up stuck along your fireplace. More than esthetic and visual reasons, health becomes a priority on this cleaning service. It is important to consider this task in your regular cleaning habits. Clearly, this cleaning service requires time and effort to be done with the excellence that it demands. In addition, the style of the fireplace will determine the cleaning service method. Examine your options. Perhaps it’s something that you could spend time on or maybe it’s something that requires a professional cleaner. Sometimes our daily cleaning duties do all the job. Keeping our house clean and tidy isn’t an issue. But have you found that no matter how consistent you are on cleaning an area, it always gets messy after a few weeks? There are some spaces at home that surely need that detailed cleaning service. Things like the oil on a stove, the bathroom, the grout on tiled floors and walls, the gutters and the list goes on; you can add any other space in your home that has the same problem. Adding special dates to your calendar to remember cleaning these areas could be a solution for you. Otherwise, hiring someone to clean these specific spaces could also be a great idea. Who likes to spend half the day (if you’re lucky) cleaning the tiled floors grout? Get creative and efficient! Create and maintain your home the way you want it to be. Check if your home needs these five types of cleaning service and let us know how it goes.